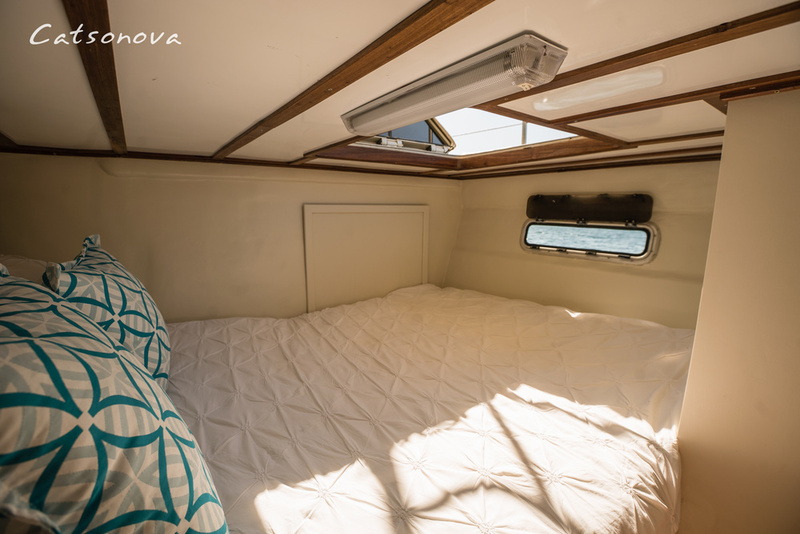 Catsonova is a classic 44ft catamaran yacht with a long history in Vilankulo. 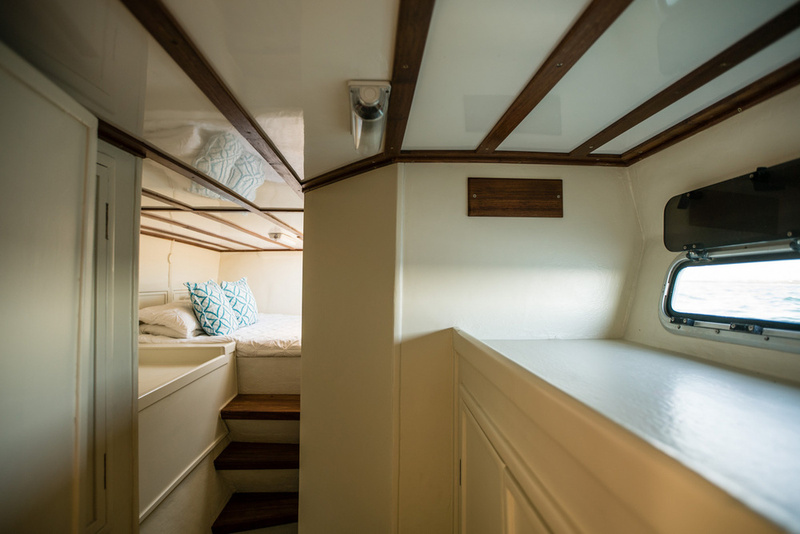 A few local friends with some knowhow and a vision to create the best day and night on the water, recently dedicated themselves to a loving upgrade of Catsonova, adding details such as wood trim interiors and installing top of the line equipment. 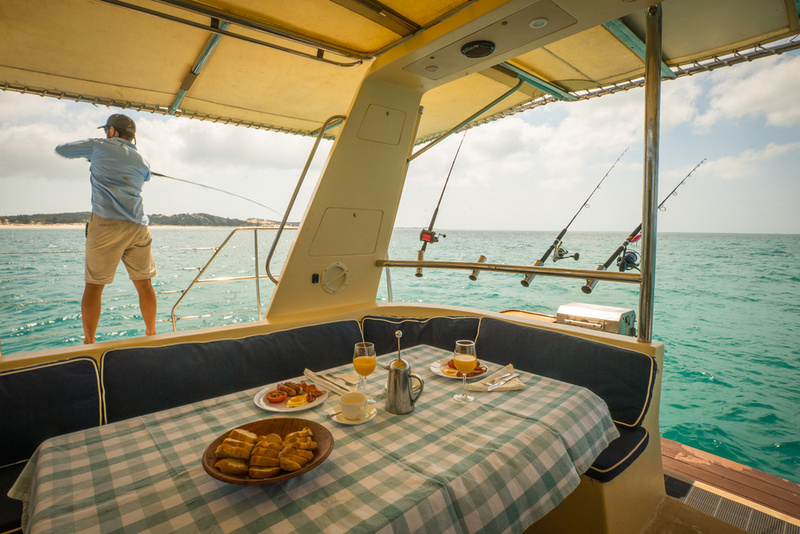 This 44ft motorised catamaran yacht is perfect for a day trip of up to 18 Pax or overnights with up to 5 couples. 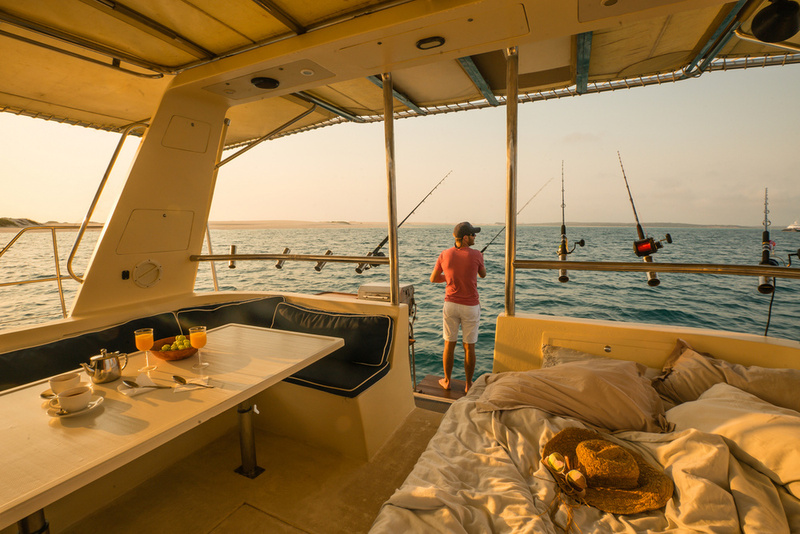 She is also the perfect boat for activities such as day time cruises, sundowners and parties. There is a toilet and a shower available for guest’s refreshment, a rubber dhingy for island transfers, snorkel equipment and kayaks for further exploring. 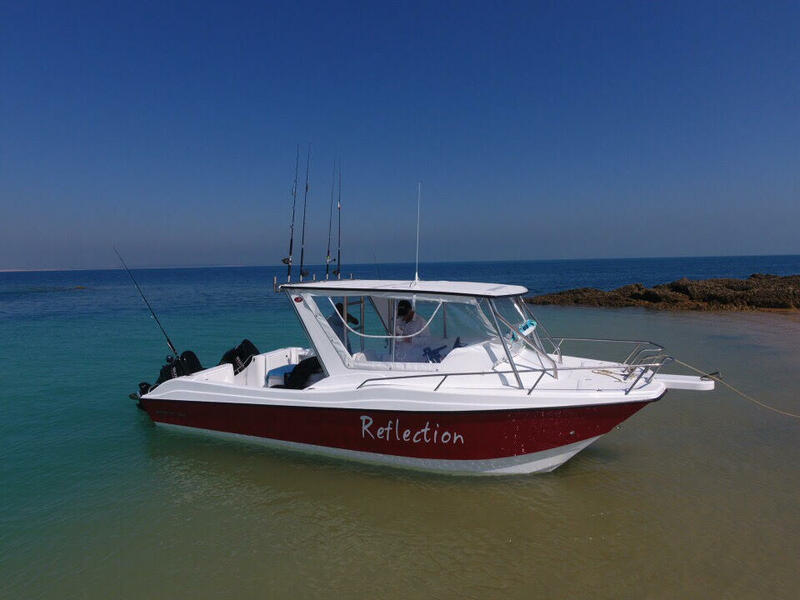 Reflection is a beautifully crafted 24 ft Novacat speed-boat. She is the latest addition to our fleet of vessels. She can either be hired alone or alongside Catsonova. 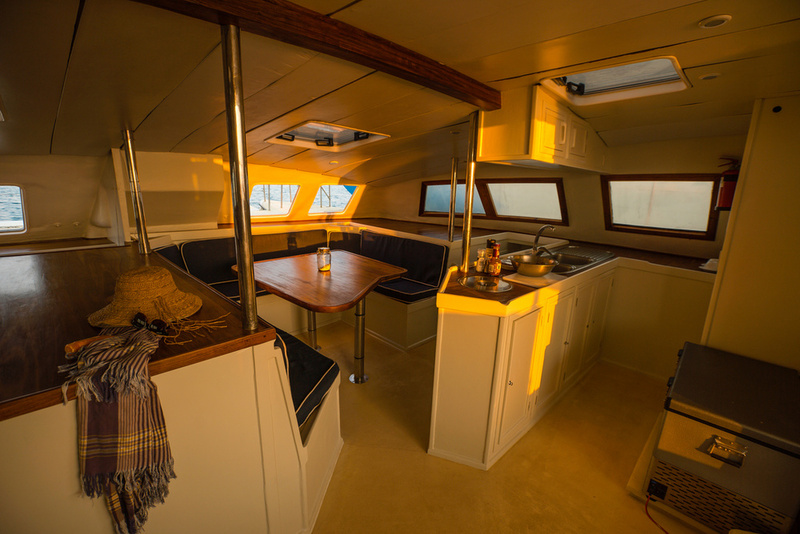 Her spacious yet comfortable interiors make her a great boat to explore the furthermost jewels of the archipelago. Perfect for island hopping, ocean safaris, whale watching, snorkeling and fishing. Nothing is more important to us than your safety and enjoyment. 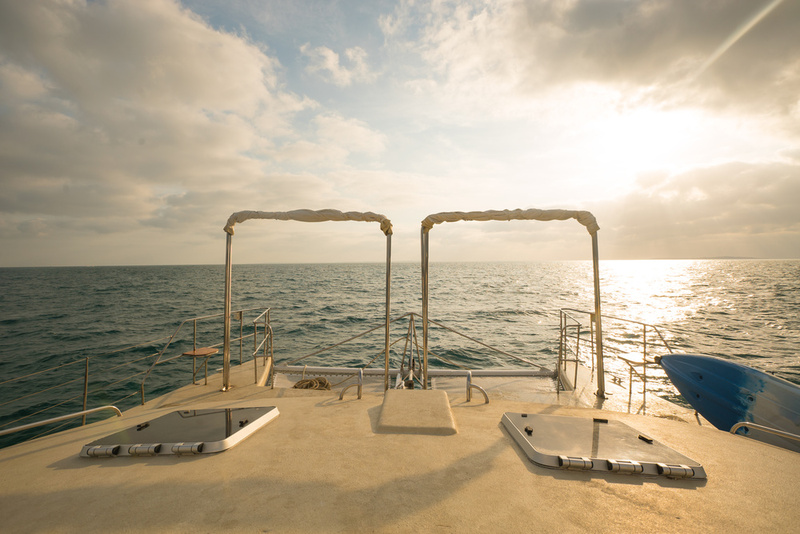 We pride ourselves in excellent service, considerable knowledge of the sea and area, and experience in boating. 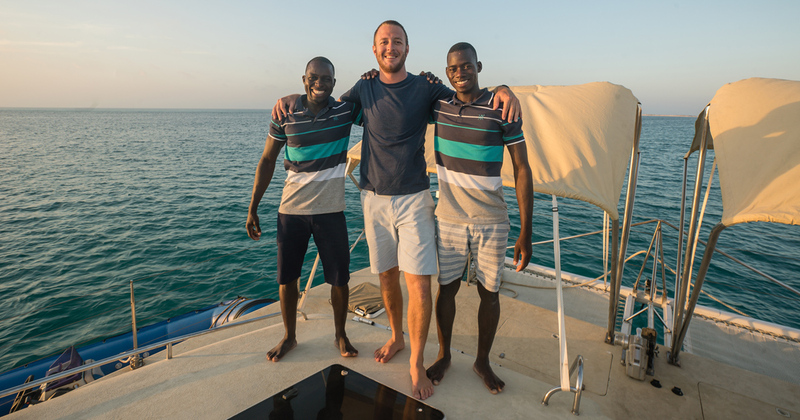 Dean Taylor, your host, is a well-known fishing guide in the Bazaruto Archipelago with extensive experience and knowledge of fishing in this specific area.